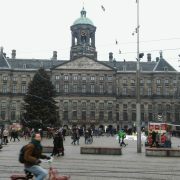 Everyone who ever visited Amsterdam, and everyone ever going to visit Amsterdam, knows the Dam square. Once an actual dam in the river Amstel, this square was named to its first purpose. 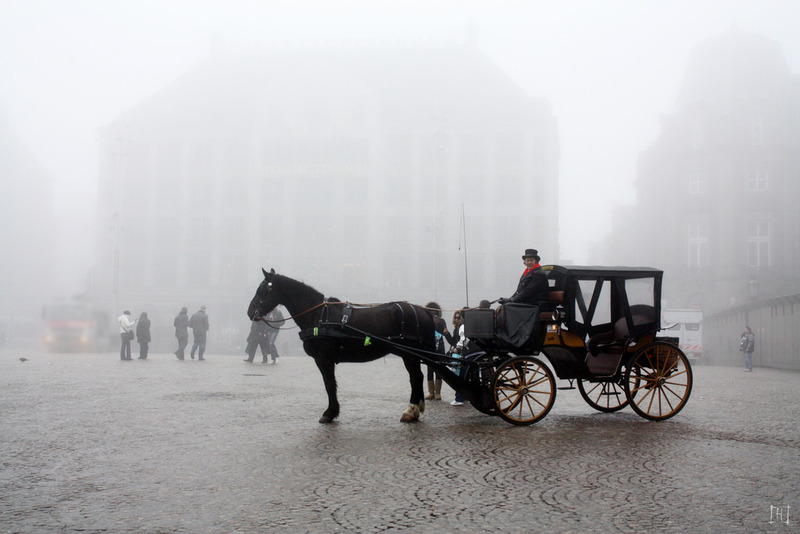 Nowadays it is the cities most known square! However, did you know the Royal Palace hasn’t always been a palace? And do you know that a very tiny house in the back of the square has survived most of the historical events like massive fires? Continue reading to explore more of its hidden secrets, unveiled by a local in this blog! 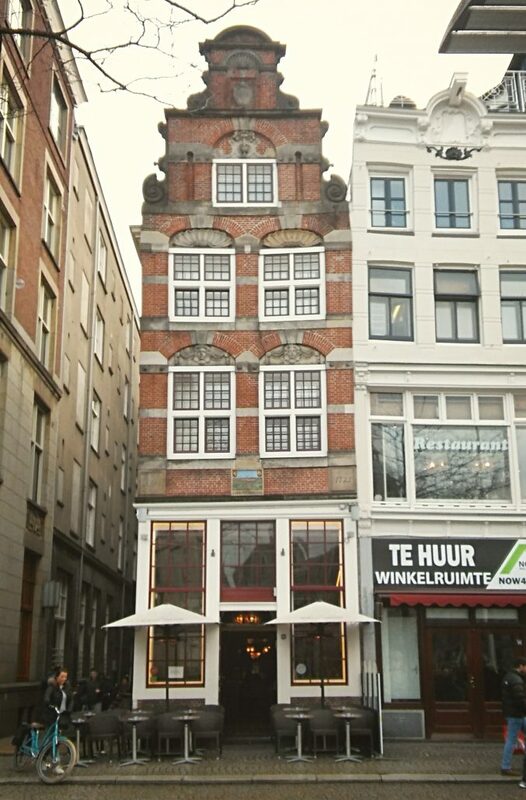 Many centuries ago, in 1368, a town hall was built in the center of Amsterdam. The city was governed by mayors back then already, and this worked pretty well. An unfortunate event caused that the town hall burnt down in a big fire in 1452 and had to be rebuilt. A reconstruction was built, but this took years. This new town hall which was inaugurated in 1655, is what you can visit nowadays! (ok, there were some restorations in later centuries as well, but these actually focused on bringing the style of the 17th century back). It was only in 1808 that it changed into a Royal Palace. It was King Luis Napoleon who decided to do so when he took his residence in it. Nowadays the Royal Family uses the building for receptions and important events. A fun fact is that it is also a museum! You can take a look inside the palace during the opening hours. More information about it you can find at the website of the Royal Palace. The Nieuwe Kerk (new church) is a bit of an odd name for this church, but there are more cities in The Netherlands where ancient buildings have the name ‘new’. 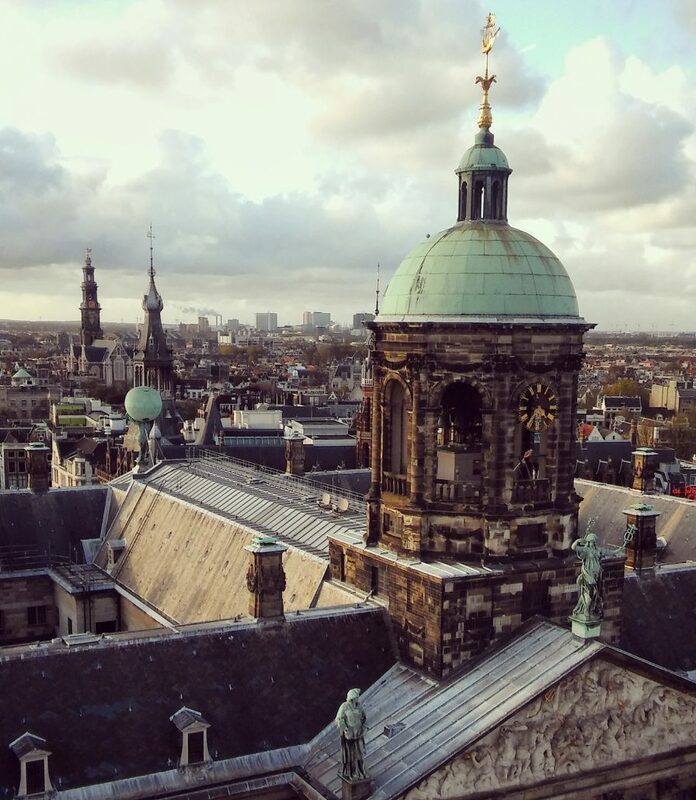 The fun fact of the Nieuwe Kerk is that it is the oldest building located on the square. It was built around 1400 and has been the home for many big events such as the inaugurations and marriages of kings and queens. Nowadays you can visit the church for expositions. On the website of the Nieuwe Kerk you can find which exposition is taking place. 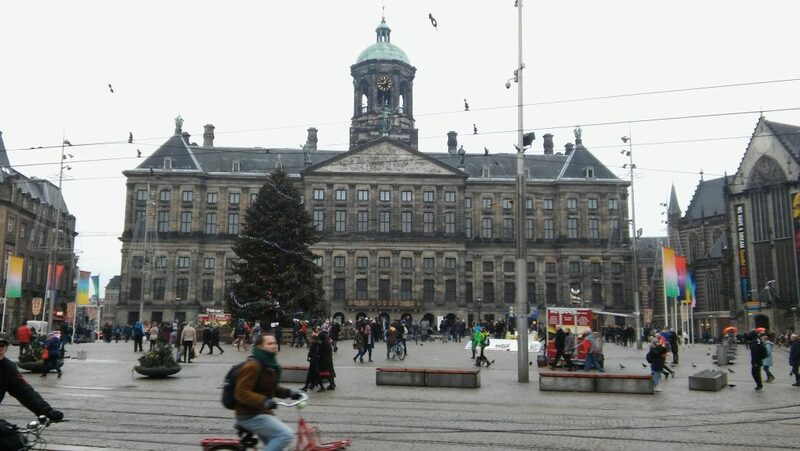 On the other side of Dam square, behind the impressive war monument, a tiny house is located. Nowadays it is a cafe. This house was built in the 16th century and therefore it is the second oldest building on the Dam. Can you imagine the amount of history this house has seen? At least it has been there during the placement of the impressive National Monument, a WW2 rememberance monument. This is how the Dam has become the place for the annual national rememberance of the dead ceremony which is held on May 4. The first tram made a ride on the Dam in 1871. Back then they were not powered by electricity yet, but the trams were pulled by horses! The first tram on electricity started to operate in 1913 and for a long time the Dam was the most important stop for most of the trams in the city. 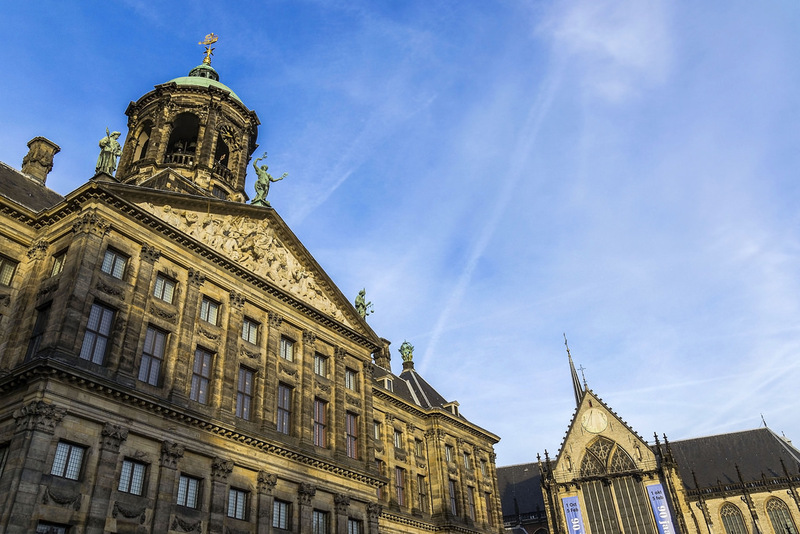 Next to the Royal Palace and the Nieuwe Kerk, also the attractions Madame Tussauds and Ripley’s are located on the Dam. From the Dam a couple of shopping streets start as well, and therefore this square is an excellent start for a city visit. 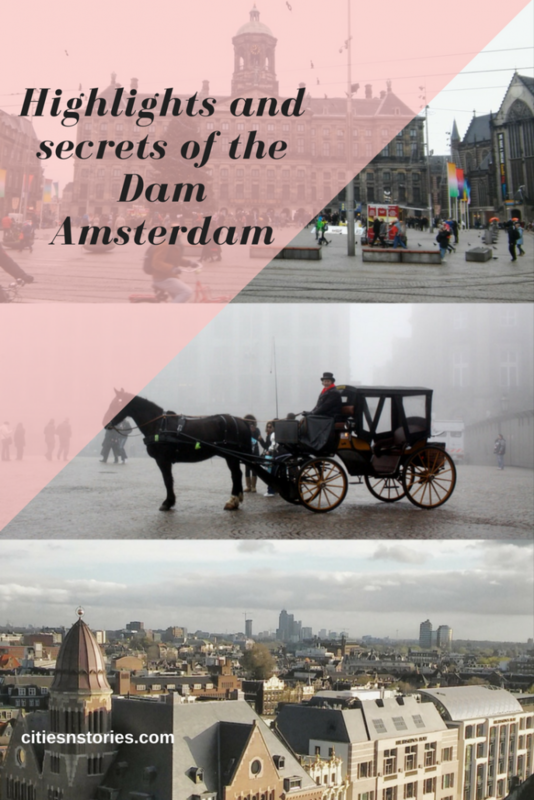 In this blog I only shared a couple of highlights, there is much more to explore on this square, but the best thing is to go visit it yourself! In case you would like to spend more days in Amsterdam, find a place to stay easily via this link of Booking.com* My advice is to book an accomodation in time, since this is a populair city to visit all through the year. this is an affiliate link. Thanks for your support! 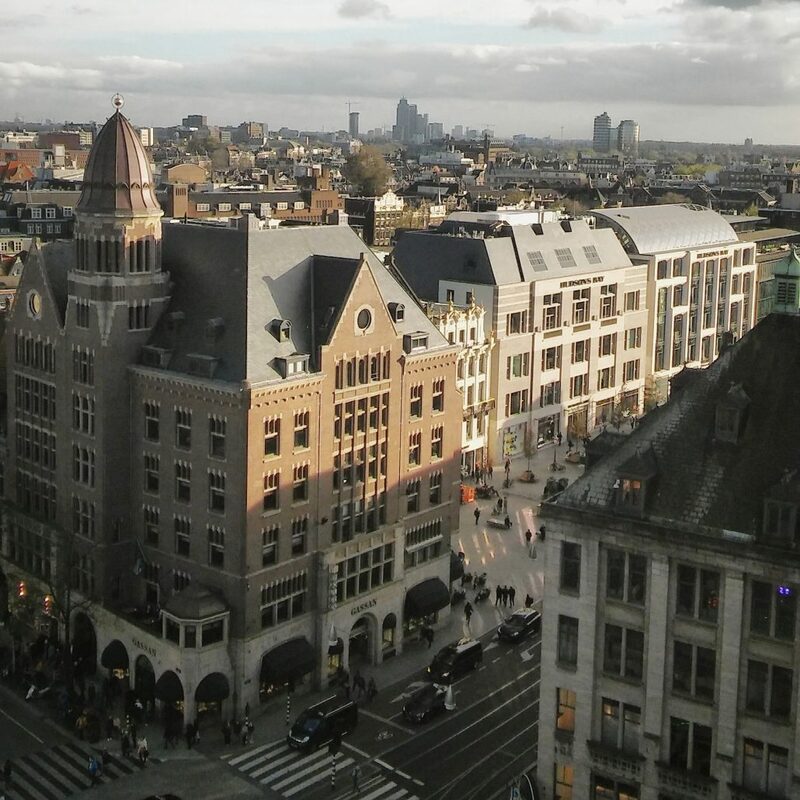 https://citiesnstories.com/wp-content/uploads/2017/12/Dam-1.jpg 1840 3264 janine reso http://citiesnstories.com/wp-content/uploads/2014/12/cities-n-stories.png janine reso2017-12-24 08:31:102019-03-06 22:34:49Highlights and secrets of the Dam Amsterdam.